Alzheimer’s Disease: How can you recognize if your parents are suffering from it? Alzheimer is one of less critical yet most dreadful disease people think they can get. If treated within the right time frame it’s not that difficult to handle, but with passage of time the disease grows and becomes one of the biggest nightmare you have ever handled. This forces one into a situation which turns as a combination of both medicinal and emotional balance. Apart from affecting the physical well being of the patient, it equally affects the emotional content of the related friends and family. It’s not only difficult to handle but equally difficult to bear the pain when your own family member cannot recognize you. Being a caregiver for a parent suffering from Alzheimer’s is not simply something people wish doing as the patient can forget them whenever they have an attack. Friends and family even though take up the responsibility, but sooner or later are forced out of it not because they don’t want to care but the pain when a loved one with Alzheimer’s disease doesn’t recognize their family is unbearable. Finding it at an early stage is something that really helps as sooner you find the problem, better becomes the handling procedure! Some patients even suffer from high voltage migraine issues during the disease cycle. 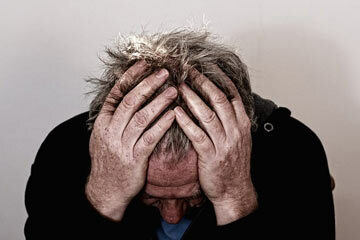 Thus keeping in mind the home remedies for migraines can also be quite helpful, during fixing the disease. There are certain signs and symbols or one could say the symptoms of having the Alzheimer disease. Here is what to be done when your mom or dad can’t recognize you anymore or one’s spouse or parent not recognizes us. This is definitely a tearing apart situation, but if handled sensibly can show wondrous results. Degradation In Memory Loss Patterns! One of the most commonly held disease symptom for Alzheimer is degradation in memory loss patterns. If you find your parents, family or friend easily forgetting information that they have just learned, losing track of important dates, names, and events, forgetting big things even happened or a habitual activity of asking the same information over and over, these are definitely early signs for Alzheimer. Finding Challenges In Daily Tasks! With the disease comes difficulties even in the handling the daily tasks. The simplest daily tasks even become one of the most difficult ones to handle. Lost concentration, understanding and immediate diversion from the even the regular daily routine task is another significant feature with the upcoming of the disease. The other symptom for the condition is when you can find confusions prevailing all around in the air around your loved ones, every now or then. This could be simple confused gazes the person delivers all the time to confused talks they make all the time. Even the most familiar time and places become confusing for the disease holder. Double Trouble With Planning And Problem Solving! Plans and planning is not your cup of tea anymore- If any such situation is being encountered by any of your loved one, this could be probable evidence that you are suffering from the disease. The greatest cook since ages if fail to stick to even the most familiar recipe is again a signature line. Balancing the check list and plan books is still a difficult affair for the person also symbolizes effect of Alzheimer. Frustration With Every Word And Conversations Are Frustrating! Vocabulary keeping becomes hard and finding the right word one is looking for is again what we call is a high flying symptom for this disease. If your parents are calling you by some unknown or wrong name this could also be a symbol. Difficult Vision Holding With Changing Patterns! Vision difficulties also hold a harder pattern and it becomes difficult to read the words on the pages in the disease. Judging distance, recognizing colors apart also gets affected with this. By simply keeping a little eye on the activities taking place by your loved ones you could definitely help them fight through the disease during the early hours. This will not only help them but will equally benefit maintaining your emotional quotient and support as well. Take an early step to treat the Alzheimer at the earliest!